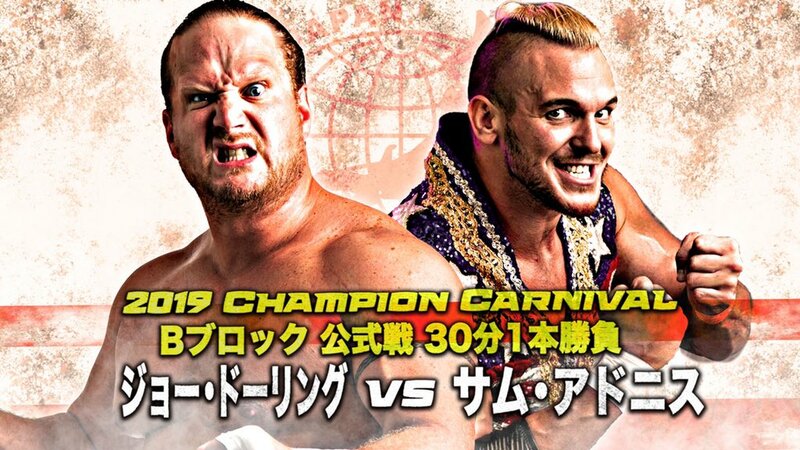 Due to the lack of shows on the Dragon Gate Network, this will be the last necessary part for Block coverage. 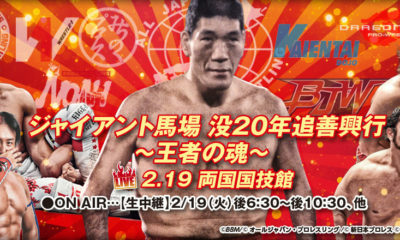 Sufficed to say, I don’t really like how different this network is compared to AJPW and NJPW. 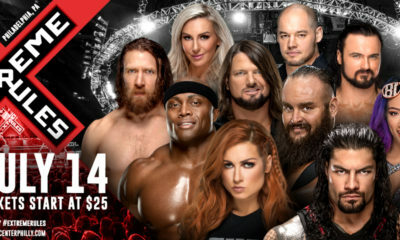 You have a week to watch a streamed show before it falls into oblivion, there’s not much of a back catalog, they skip smaller “non televised” shows and unless you like YAMATO’s cooking show…money may be better spend on a different service. But complaints aside, let’s finish out the blocks before Mathew Sarpacione will take full control over the Semi-Finals and Finals for First and Last place. Well… this is odd with ANTIAS. It seems like it depends on who’s wrestling, for how much they interfere. This match felt more like a lumberjack match, than a tournament match. Immediately, Eita enters, hits Kid with a bat and takes him to the outside. Multiple double teams happen while the face stable stays at ringside and complains. Again, the face stable cries and this time the ANTIAS members throw in chairs and the baseball bat, so Eita can stack the chairs on Kid’s ankle and go to town. Most of Eita’s offense was focused on the now injured ankle, but the constant interference was annoying. ANTIAS tripped Dragon Kid and even pulled the referee out at some point, while Over Generation finally got frustrated enough to hit Eita with a kendo stick, once. 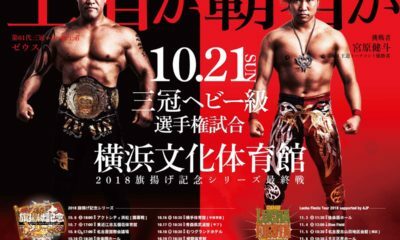 As if there was any question, Eita wins with a standing Indian Deathlock while he used his free leg to stomp on Dragon Kid. 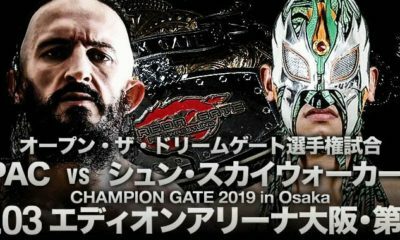 Since this is Dragon Gate’s biggest tournament, this felt stupid. Yes it continues a storyline between the factions and develops more bad blood…but there’s a time and a place. This isn’t either. The match starts off uniquely off the backs of an ANTIAS stable tag match. Eita was jawing with members of the other team, and Santa Maria runs in and hits a big drop kick off the top turnbuckle. And now back to our regularly schedule ANTIAS shenanigans when Eita’s in a match. 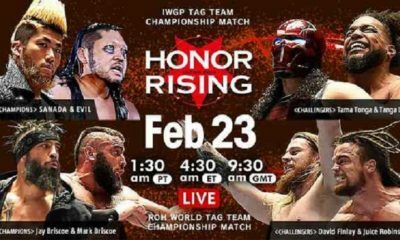 Like if you hated Suzuki-Gun in previous years, these matches will give you an aneurysm. First he strips off Maria’s skirt, so she plays up being embarrassed, then after a roll-up exchange, he kicks her below the belt in front of the referee. The ref admonished Eita, Eita chucks the referee away, takes off Maria’s top and throws the ref again to eventually get disqualified. His disregard for the tournament, opponents or whatever is really bringing down the quality of this tournament. 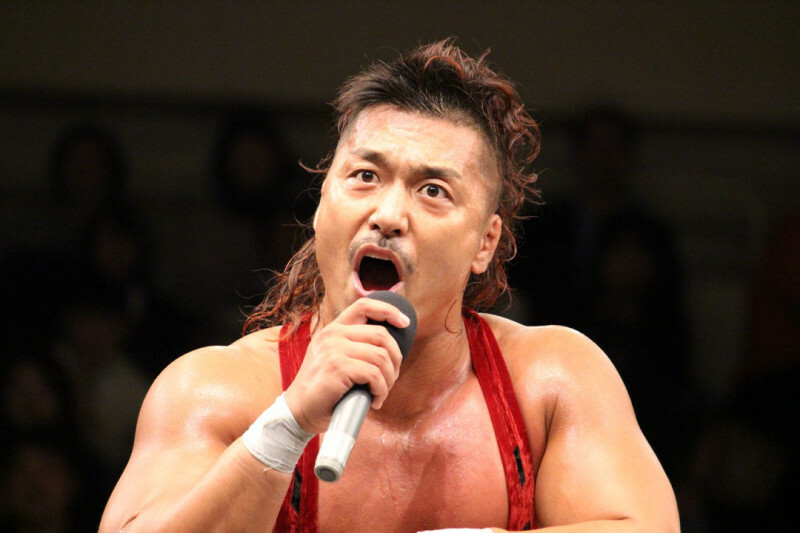 It’s supposed to be the biggest tournament in Dragon Gate, and it’s being treated like garbage. A fairly fast paced match, a few high spots and not a lot of strong styles moments. This felt much more like a Lucha match, with the quick maneuvers, springboards and multiple mid air adjustment moves. The entire finish is set up after a few lariats and back to back tilt-a-whirl takedowns. Yokosuka looks like he’s about to set up for his own finish, but a sliding lariat gets caught and Yoshino turns it into a sitout pin, for the victory. Following up two matches that had interference galore and just underwhelming work quality, this felt awkwardly placed. The two tried to wrestle a fairly decent mat game, but the crowd was mostly quiet and those solid work, was general uninteresting. The match picks up after a Sunset Flip Powerbomb attempt in the corner, and we see Slingblades, Slingshot Dropkicks and Shining Wizards everywhere. So for as much good as that offensive flurry did, the match started to go off the rails during another locomotion rollup sequence. Many of Kagetora’s rollup attempts had one of Yoshino’s shoulders on his leg, but the ref counted anyway. So that telegraped the ref just doing what was agreed upon in an attempt to build drama towards the finish. Then when we get to the awkward finish with Yoshino hitting the ropes, Kagetora slides to pick the leg, so he’s holding one of Yoshino’s legs and throws one of his legs back over the free leg to secrue the pin. So it was one of the most awkward double pinfalls you’ve ever seen. This match felt like an Owari match in the middle of a tournament. Honestly, this was just a device to further Saito’s feud with Shingo. 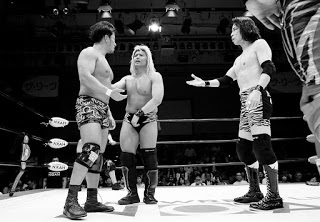 Saito goaded Shingo to accept the Owari Gate Championship match a few months ago, he didn’t mind getting his head shaved, and he was okay with getting no points, as long as that meant Shingo got zero also. 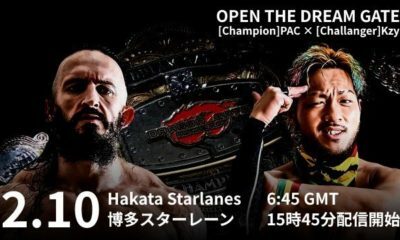 As I’ve said at least once, for Dragon Gate’s biggest tournament, they aren’t treating it like one. Sub par matches, with heavy gimmick and storyline involvement really doesn’t help this tournament feel special. Oh, as for the match, it ended in Double Countout, lots of interference, a few comedy spots, absolutely nothing worth wasting time on typing to describe. Well this match actually had a palpable weight since Ryo Saito put Shingo in a bad spot. This is the last streamed match of the block and Shingo needs to win to win the block. So does Susumu play spoiler, or does Shingo move on to the Semi-Finals? ANTIAS was less involved…well…sort of. Early on, it was more of an actual match. A lot of back and forth, good strikes, a Buckle Bomb, Avalance Death Valley Driver and numerous snap suplexes. 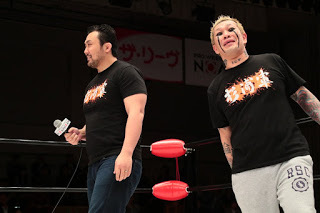 However, towards the end both ANTIAS and Natural Vibes got involed in the match, but it seemed more since the desperation was apparent and not so much the usual interference garbage. A fun spot was, after laying out Susumu with a lariat, Shingo flips the Natural Vibes towel into the ring when the referee isn’t looking. So he tries to convince the ref it was the stablemates that did it, but sadly the referee doesn’t buy it. Thanks to the ton of outside interference the final straw is a brief case shot that turns into a tug of war, then we see Natural Vibes get a hold of the brief case and hit Shingo with it. 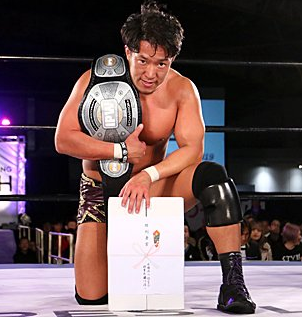 The foreign object, into the Jumbo no Kachigatame spelled the end of Shingo’s tournament. 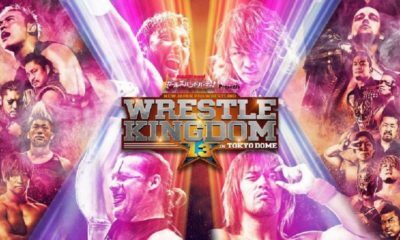 For being their most important tournament of the year, the matches were controlled by storyline more than tournament vibe of caring about each match. We saw a lot of interference, a lot of continuation of stories and I admittedly hated it. Unless the playoff rounds really step up, this could be the worst tournament I’ve seen since the 1995 King of the Ring.